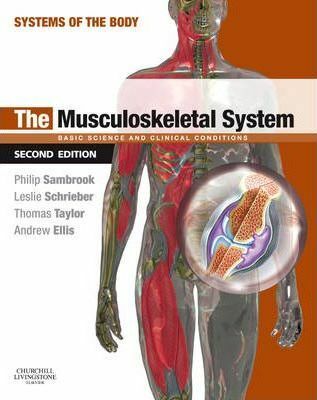 This is an integrated textbook on the musculoskeletal system, covering the anatomy, physiology and biochemistry of the system, all presented in a clinically relevant context appropriate for the first two years of the medical student course.One of the seven volumes in the Systems of the Body series. Rheumatoid arthritis and the hand. Soft tissue rheumatic disease involving the shoulder and elbow. Nerve compression syndromes. Back pain. Bone structure and function in normal and disease states. Articular cartilage in health and disease. Crystal arthropathies and the ankle. Disorders of skeletal muscle. Autoimmunity and the musculoskeletal system. Trauma and the musculoskeletal system. Infection and the musculoskeletal system.